Rain or shine, we can’t believe this is already here. For the 5th year in a row, we’ll have a Sunday Funday at Club Dada and now La Grange for a TWENTY-NINE, Maybe THIRTY band spectacle… see you Sunday. HOSTED BY The TERROR PIGEON DANCE REVOLT!! 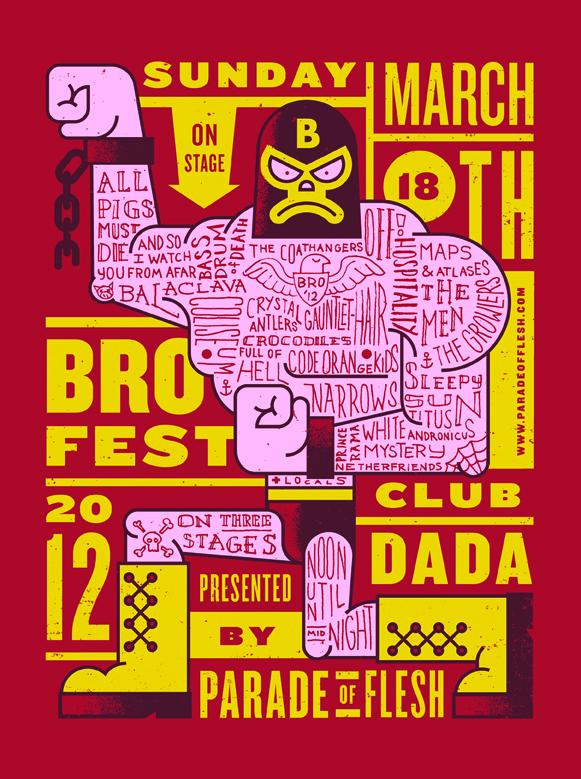 This entry was posted on March 14, 2012 at 12:20 am, filed under News and tagged bro fest 2012, club dada, la grange.